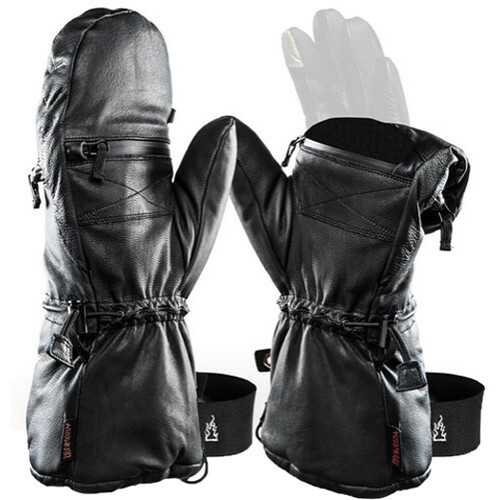 Designed for expeditions, the Shell Pro Full-Leather Mitten from The Heat Company, in size 9, is their warmest outer shell and provides the greatest protection and heat retention to keep vulnerable hands and fingers warm and protected from the harshest elements. The size 9 mitten fits hands 7.9-8.8", measured around the palm of your dominant hand just below the knuckles. The Heat Company recommends sizing up if you are in between sizes.